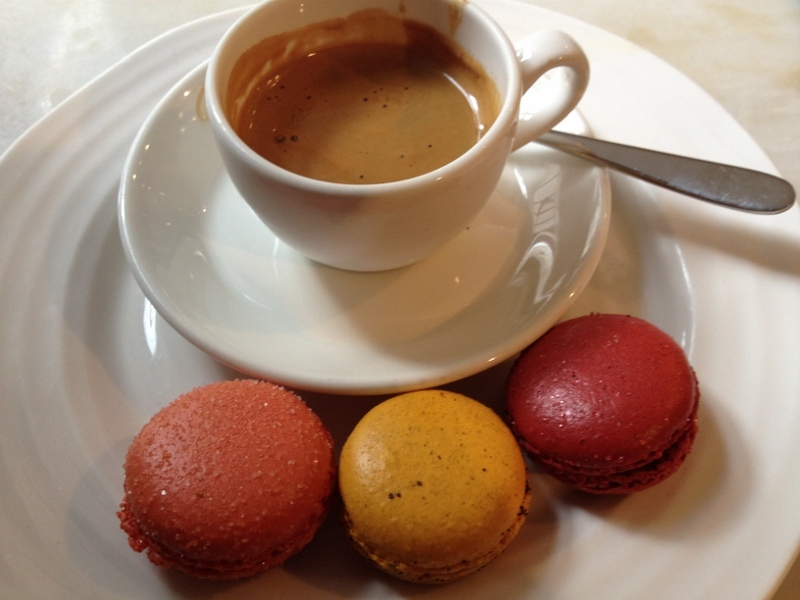 The whole world seems to have gone mad for macarons …. and for a while I wondered why. I mistakenly thought that macaron was the posh French name for macaroons – those lumps of dessicated coconut and condensed milk I had eaten in my childhood. 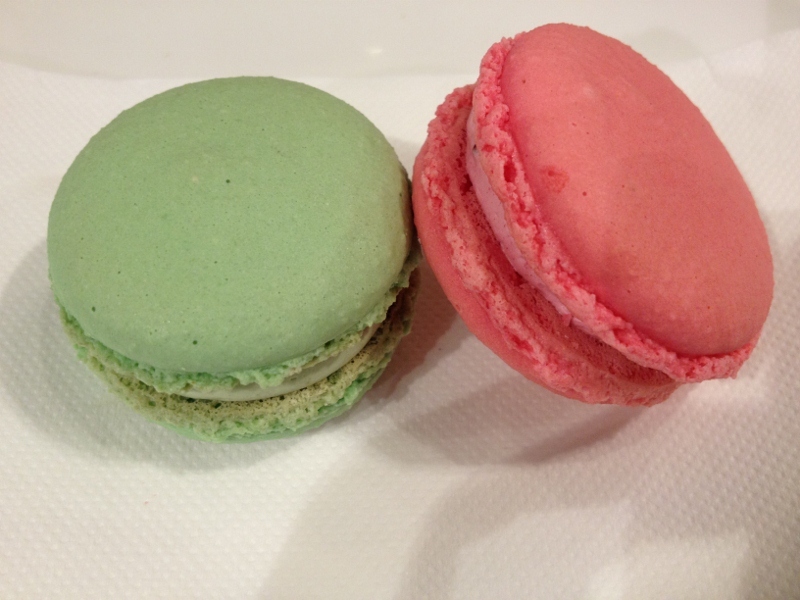 I remember quite enjoying macaroons at the time, but now I realise that macarons and macaroons are light years apart. A macaron is a meringue confection made of ground almond, egg white and sugar, sandwiched together with a flavored buttercream, ganache or jam. The classic macaron shell should crackle as you bite into it, the centre should be dense but not chewy, and the filling should not be overly sweet. Once I had tasted my first really good macaron, I too became obsessed … I tried macarons made by great names like Ladurée, Hediard, and Fauchon in Paris. 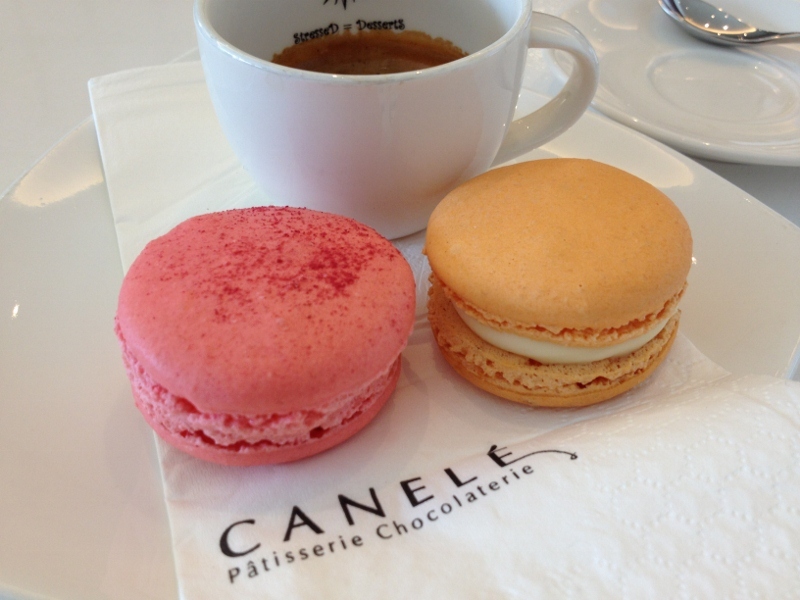 I tried them at Liberty’s and Harrods in London and even Canelé and Jones the Grocer in Singapore. 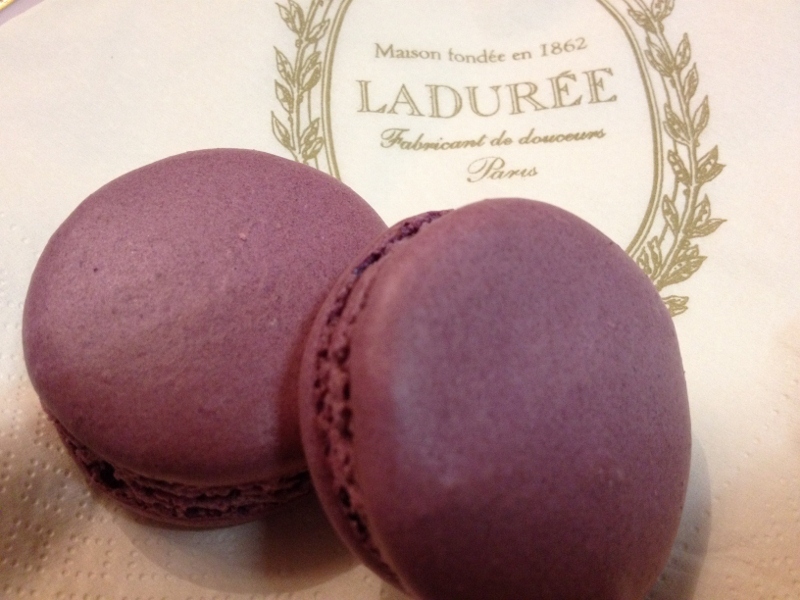 So far, the most delicious macaron I have tasted is Ladurée’s Cassis & Violet – two little lilac coloured clouds separated by an intense layer of tangy blackcurrant jam. But watch this space … I have yet to sample any of the weird and wonderful creations by Adriano Zumbo, or a classic by Vincent Gadan (who recently appeared on Australian Masterchef) . So many macarons, so little time ! !